Doesn’t everyone want their very own swimming pool at home? 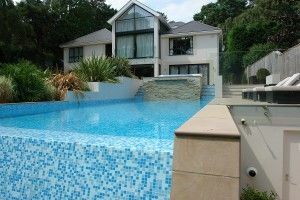 KB Pools offers the cheapest way of building a swimming pool in Dorset. 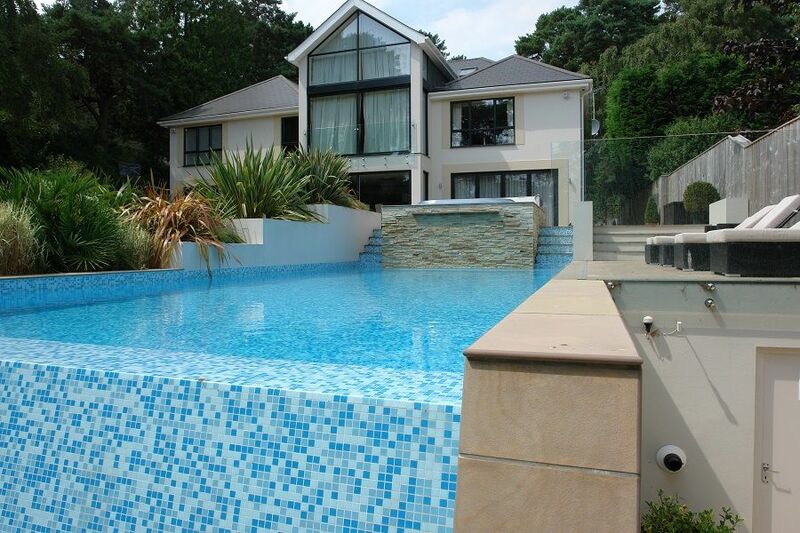 With over 25 years’ experience in the industry, we provide customers with the highest quality swimming pool service in Dorset, including design, installation, and maintenance. If you’ve always wanted to build a swimming pool in your Dorset home for the cheapest way possible, look no further. KB Pools are both SPATA and Gas Safe registered and each member of staff is trained to the highest standard, so you can be sure that we provide the best quality swimming pools in Dorset. We know the UK is famous for its unpredictable weather, but this shouldn’t affect the time you spend in the pool. 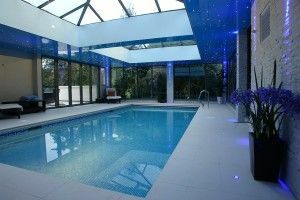 Indoor pools are perfect to bring back that summer holiday feeling whatever the weather. 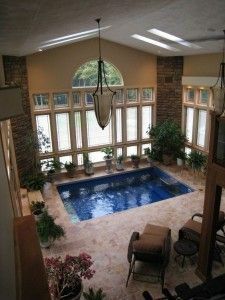 See previous examples of our indoor pools here. Save time and money on trips to crowded public swimming bars by having a private pool in your own back garden. We make sure that your outdoor pool is personalised to you and your home by offering a range of styles and designs. See previous examples of our outdoor pools here. Create the effect of swimming against real-life waves with a counter-current swimming pool. With our endless pools, you can treat yourself to a warm swim with an adjustable current, making it perfect for all swimming abilities and fitness levels. See previous examples of our endless pools here. Having your own swimming pool in your Dorset home is a great way for children and adults alike to exercise, relax, and socialise. Without the restrictions of a public pool, the possibilities are endless, you’ll have the freedom to swim for as long as you like, whenever you like. 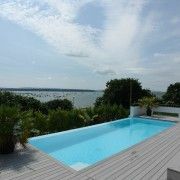 Swimming pools are also guaranteed to add value to your Dorset home, as house hunters are far more likely to be attracted to a property with a pool than one without. People can’t help but be drawn to the aesthetic and recreational benefits that a KB Pool offers. For more information about the cheapest way of building a swimming pool in Dorset, call us on 01202 518067 or send an email to sales@kbpools.co.uk. Would you like bespoke features to add luxury and style to your home? Take a look at the wide range of swimming pools and spas KB Pools have to offer. At KB Pools, we believe that a pool or spa exudes the opulence that every home deserves. With over twenty-five years in the industry, our team at KB Pools will know how to spice up your home with individually designed swimming pools and spa designs. Everybody loves a hot tub. With its warm, bubbly water, it is easily the most desired feature of any home. Impress your friends and invite them over to a hot tub party, or just unwind under the stars with one of KB Pools chic spa designs. A swimming pool is a great attribute to your home. It will be fun for all the family and is a great way to entertain guests or unwind. At KB Pools, we have swimming pools for every environment in your home. So whether you would like an outdoor, indoor or a specially designed swimming pool, we have all you could choose from at KB Pools. Here’s your chance to pretend you’re still on holiday. With an outdoor pool, you will have the leisure to soak up the summer sun in your back garden. When you install an outdoor swimming pool to your property, you will also have the opportunity of installing a telescopic cover to protect your swimming pool all year round. If you want a swimming pool that you can use throughout every season, then we recommend you install one of our lavish indoor swimming pools. The supreme advantage of using an indoor swimming pool is that, unlike outdoor swimming pools, the water is not dependent on temperature variables. At KB Pools, we know the right techniques to improve your indoor pool into an energy efficient feature. Would you like a swimming pool with a difference? If you are short on space, our movable pool floors are the ideal alternative. With a movable swimming pool floor, you will achieve a multiple entertainments package as we transform your pool area into a clear basement or terrace. 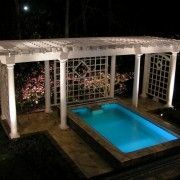 Install a swimming pool or spa design to your property with KB Pools. Call us today on 01202 518067 to achieve the opulence of a luxury home. If you have any other queries, send us an email to sales@kbpools.co.uk. Do you want a great way to unwind after a hard day at work? Are the stresses of modern life getting you down? Then look no further than KB Pools as we can provide a superb hot tub installation service for your home in Dorset. Our company has 20 plus years of experience in installing the best hot tubs Dorset properties have experienced. We stock a large range of hot tubs to meet all of our customers’ needs. Invented by Roy Jacuzzi, the Jacuzzi or hot tub has revolutionised the world over the last five decades. Having a Jacuzzi installed into your home or property is a wonderful investment that will pay off with a wide range of health benefits, and it will also make your property more lucrative if you choose to sell up in the future. Many owners of our hot tubs often find that our hot tubs provide a plethora of benefits and they have a more relaxed perspective on life afterwards. The J-200 is a classic hot tub choice and will suit many homes. This tub is famed for providing users with a comfortable and luxurious Jacuzzi experience. A J-200 tub has smooth ergonomic lines that ensure the hot tub is suitable for installation into many homes. KB Pools supplies the J-200 in several different colour ways and can install a whirlpool jet on request. Do you want a hot tub that offers a powerful sensory experience? KB Pools can install the J-300 into any home or property. The J-300 has some of the most advanced PowerPro jets that offer hot tub users an unrivalled experience. Many customers find that the J-300 is an exciting prospect since it can be tailored to suit the user’s demands and it can seat up to 7 people. If you have read the above and find yourself wanting a hot tub that offers more, the J-400 could be perfect for you and your home. The J-400 is one of the largest hot tubs we provide, and it also provides one of the more powerful hot tub experiences. Similar to the J-300, the J-400 has a fully customisable Jacuzzi option for users. The J-400 is also suited for hydrotherapy use. Covered in exquisite wooden panelling, and an overflowing hot tub makes the Skyline hot tub a beautiful addition to your home or property. The Skyline is one of the most flexible hot tubs our company can offer your Dorset home as it can be installed in a variety of different locations. For property owners who want a hot tub with a minimalistic design with all the great features of the regular hot tub, the Unique is perfect. The Unique has a distinctive overflowing feature and three ergonomic seats which can be personalised with different hydrotherapy settings. With 20 years of experience in supplying in Dorset, our company is well placed to provide a superb range of services for your home. 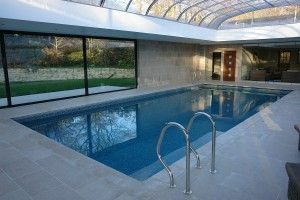 KB Pools has established a fine reputation in Dorset due to our high-quality installation and fitting process alongside our use of high-quality products. So if you require a hot tub for your Dorset home, look no further than KB Pools and give us a call today on 01202 518 067 or visit our showroom today.